Note: Several months ago we started writing in English, to widen our possible audience. Now we’ve finally changed to an English name: Northstack. Hope you like it! Also, this post is a part of the Northstack Memo, you can sign up here. As you all likely know, Plain Vanilla announced last week that the company was winding down, following a cancelation of the planned TV show with NBC. I wanted to devote this Memo to discussing my thoughts on the implications this has to the Icelandic startup scene. Disclaimer: I was / am an employee of Plain Vanilla. Press coverage of the news has been generally neutral or positive, which is good, because we as a startup community must be okay with failure. It’s also important to remember that Plain Vanilla was almost entirely funded by investors from outside the country. I can’t even begin to imagine the sh*tstorm we’d be witnessing if Icelandic VC’s funded by Icelandic pension funds (majority of Icelandic LP’s) had been majority shareholders. And while Plain Vanilla didn’t end in a successful exit, with a group of people cashing out a healthy amount to invest back in the community, the talent that’s unleashed is substantial. What do you think will happen when ~40 highly talented, creative, entrepreneurial people lose their jobs on the same day? I can’t wait to find out. It’s obviously in the best interest of the Icelandic startup community, Icelandic investors, and Icelandic business, that teams are formed, companies started, and new startups launched. This is perhaps one of the most important things to remember about Plain Vanilla. Yes, Thor and the QuizUp team brought in a substantial amount of capital, that was mostly deployed in Iceland (so a lot of it became taxes and such). But the bigger point is that they decided to stay here. There was no real business reason to grow and operate Plain Vanilla in Iceland – as we can see with Tempo, who are moving chunks of their operations abroad, or CCP who are moving their executive team to London. 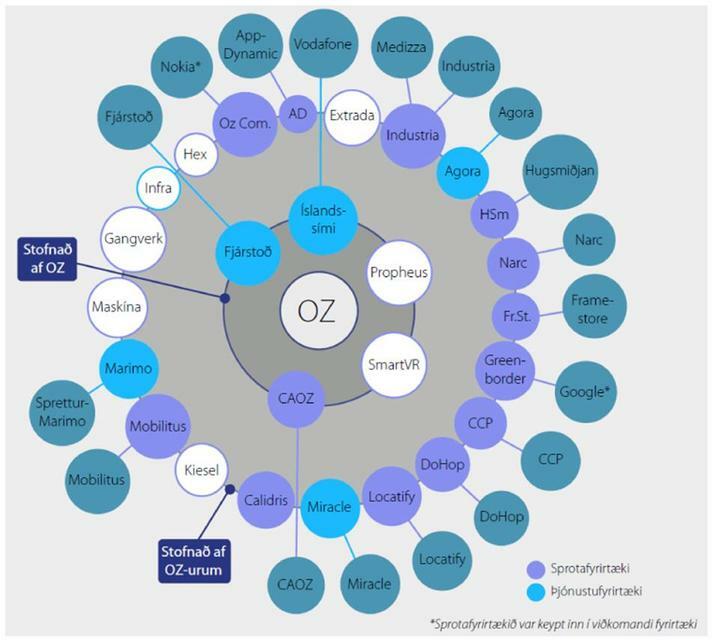 Several years ago, someone made a picture of the effects the Oz adventure had on the Icelandic tech scene. I can’t wait to see a similar one for Plain Vanilla. Next postYou want to start a company. But why?